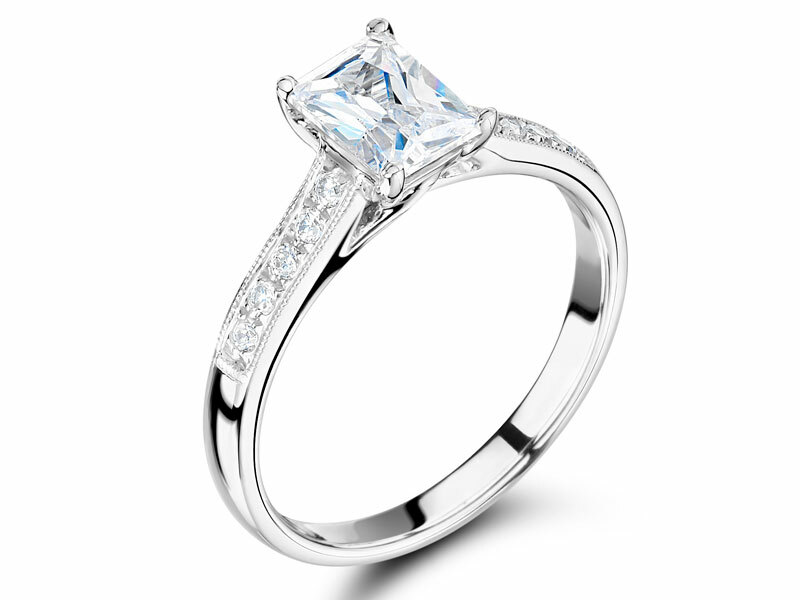 Radiant cut diamond set in a solitaire setting with pave diamond set band. The claws holding the centre stone in this setting lead down to a pretty cross-link detail underneath the stone. This is a wedfit style, meaning that a straight wedding ring will sit flush against this ring. This ring can be made for budgets starting from approximately 1,500 euro.